Living… on Earth. She was sent to the planet among a group of 100 juvenile delinquents who are supposed to be testing if the once-ravaged planet is once again inhabitable. Now that she is off the Ark, nothing is going to stop Octavia from living life as freely as she can. 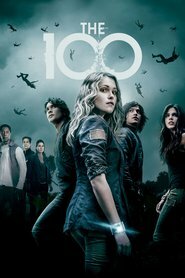 Not even her protective older brother Bellamy, who is also one of The 100. Interests… everything. No, really – everything is fascinating to a teenage girl who has been locked away for her entire life. Relationship Status… single and ready to mingle. Octavia may have been deprived of human contact while growing up, but flirting comes naturally to her. Boys can’t seem to resist Octavia, to the dismay of her brother. Challenge… navigating her new world. Octavia hasn’t had many experiences so far, so she’s making up for it now. However, not everything on Earth is safe to try. Personality… outgoing, adventurous, and spontaneous. Octavia may not be as much of a natural leader as Bellamy is, but she does possess a magnetic personality. Moreover, she seems to have more compassion for others. Octavia Blake's popularity ranking on CharacTour is #943 out of 5,000+ characters. See our top-ranked characters and read their profiles.